Construction is well underway at the new Krishna Avanti Primary School in Croydon. 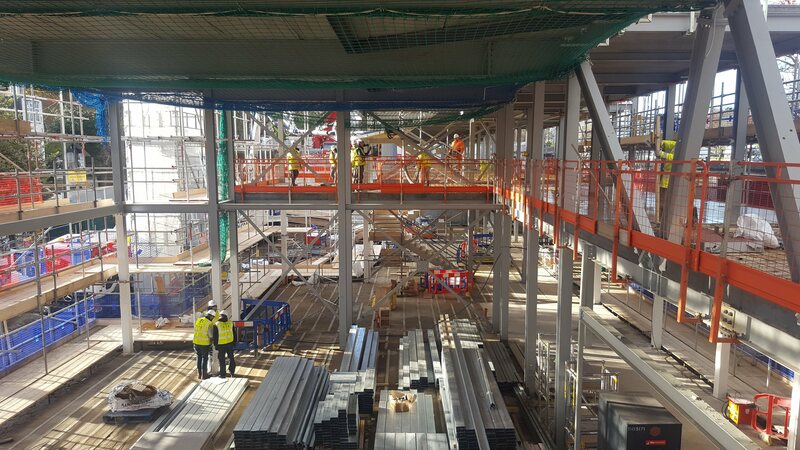 The steel frame has been erected and concrete floors and staircases are in place. The contractors are pressing on with the construction of the roof and are beginning the brickwork façade.